With their cavernous abandoned spaces, the hundreds of stalled skyscraper projects throughout tropical Asia could serve a purpose by hosting low-budget micro-dwellings aimed at ‘urban nomads.’ Economic conditions put many high-rise building projects on hold, while the global housing crisis is making it difficult to impossible for young people, the middle class and the urban poor to find affordable accommodations in desirable cities. 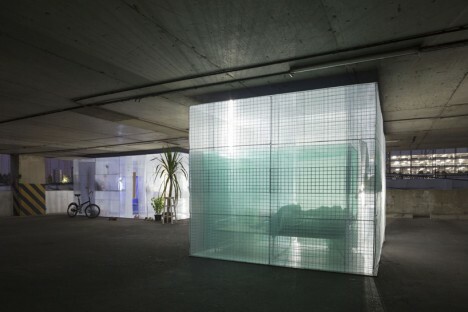 A project called ‘Light House’ offers a temporary solution. 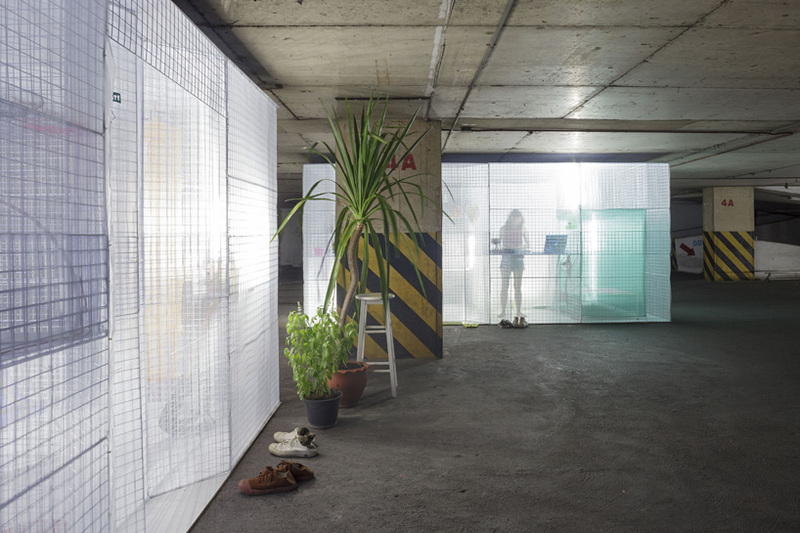 Designed especially for mild climates, these prototype housing units consist of perforated metal grid frames, plastic-laminated plywood floors and walls made of layered textiles. 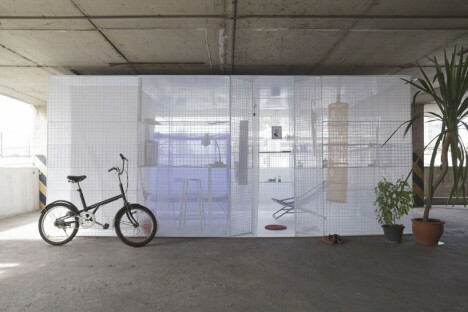 “The different degrees of perforation of the walls give variation to the space within by selective filtering of external elements,” say the creators, Bangkok design firm All(zone). 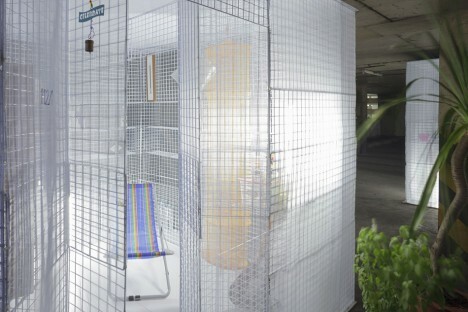 There are shelves for personal items, a changing room with a closet, and a bed surrounded by mosquito net. Each one costs $1,200 to make and can be quickly assembled and disassembled, taken to a new location when the current ‘host’ is no longer available. The designers themselves lived in the prototype units to test them out. 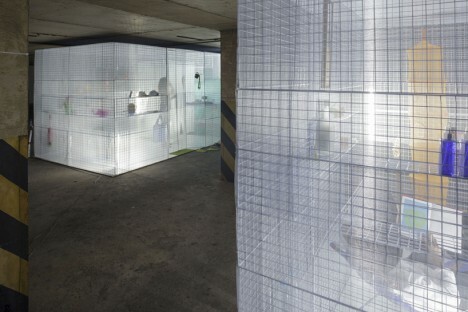 But would the average young city resident really want to live in a space like this? The need for affordable housing, adaptability and reclaiming vacant urban spaces is undeniable, but flimsy structures like these seem like just one shaky step above homelessness, and might be better suited to serving that population instead. 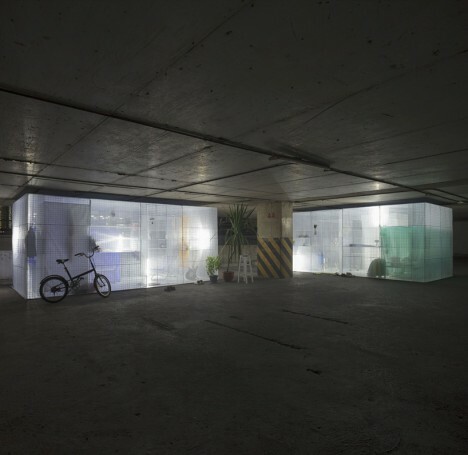 The transparency of the walls could be seen as a statement on what it’s like to live in the streets, perhaps making an even more profound statement on the housing crisis than the creators intended.